Whether you adore the splatter of paint to canvas, the thrill of the theatre on opening night, or the sweet sound of music unfolding under the stars, SLO CAL is your one-stop arts destination this summer. What better way to rekindle romance, bring your family together, or explore the region’s many cultural hot spots than by diving into a world of vibrant music, art, and theatre? Want to meet real artists in the flesh? 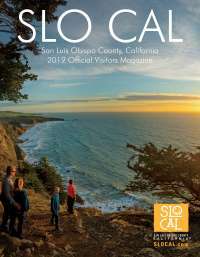 Interested in mingling with locals over art all while sipping SLO CAL’s famous wine? Sounds like you need to check out SLO’s vibrant Art After Dark tradition, happening on the first Friday of the month across downtown SLO. On this special evening each month, galleries, boutiques, and (even eateries, salons, and jewelers) take part in a celebration of paint, sculpture, glasswork, ceramics and more. A similar town-wide arts celebration kicks off on the first Saturday of the month in the pastoral town Paso Robles to the North. When: First Fridays in SLO/First Saturdays in Paso Robles from 6-9 p.m. Hot idea: Grab dinner in downtown SLO then explore the town’s nooks and crannies as you stroll from stop-to-stop. Family togetherness achieved! You’ll soon hear the sound of your family laughing out loud, entranced by the lively atmosphere of the Great American Melodrama. Here, wood chips on the floor and joyful audience participation create a blast from the past experience that has continued to entertain for generations. Hot Idea: No need to worry about snacks. Enjoy the show with hot dogs for the kiddos and glass of local beer and wine for the grown ups. Summer is all about the beach, and Morro Bay is about as perfect a beach town as any found in scenic SLO CAL. Take in waves, sun and local art when you stop by the Morro Bay Art Center, featuring a host of exhibits and hands-on classes for youth, teens and adults alike. A large activity room features ongoing classes in oil, watercolor and pastel—plus, weekly and monthly live demos are always unfolding before your very eyes. 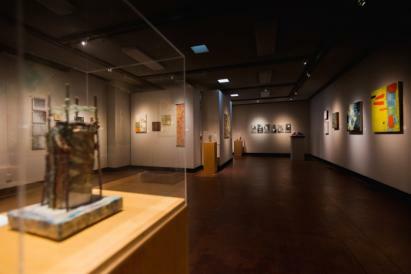 Hot idea: End your day at the beach with a leisurely gallery stroll.Running through July 30, “On and Off the Wall” showcases original paintings and sculptures. “Let’s Rock” showcases paintings of Morro Bay’s iconic Morro Rock landmark. Unwind and relax in a plush seat and be prepared to be entertained to the fullest. 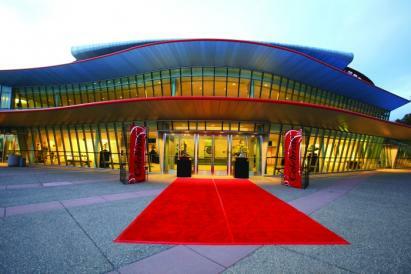 San Luis Obispo Performing Arts Center attracts top notch national acts to SLO CAL all year round, and summer is an especially exciting time to enjoy the cool AC. This 1,289 seat venue is no small potatoes, hosting year-long theatre, dance, and musical performances that truly rock the rafters. When: Check calendar here for a list of sizzling summer performances. Hot idea: Lyle Lovett and his Large Band take he stage July 19 to much fanfare. Lovett has broadened the definition of American music in a career that spans 14 albums over three decades. Coupled with his gift for storytelling, the Texas-based musician fuses elements of Americana, swing, jazz, folk, gospel and blues in a convention-defying manner that breaks down barriers. Looking for a magical night of music unfolding under SLO CAL’s signature Live Oak trees? Venture to Vina Robles Amphitheater, where incredible live bands collide with fine wine and wood fired pizza—all under a blanket of twinkling stars. 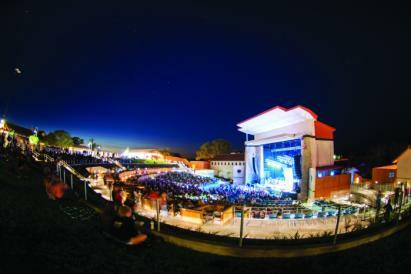 Think of it as our version of the Hollywood Bowl, only way more laid back. When: Click here for a diverse summer music schedule and tickets. Hot Idea: Explore Paso Robles wine country before settling in for an evening of music (VIP boxes are available as well as stadium and grass seating). This August 3, Rodrigo y Gabriela will bring their globally beloved Mexican acoustic rock tunes to the outdoor stage. Music just sounds better when performed in enchanting places, right? 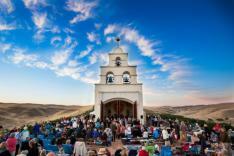 Festival Mozaic brings classical, orchestra, jazz, and more to a host of wow-worthy SLO CAL venues, including historic missions and adobes, gorgeous wineries, and hidden cultural gems. 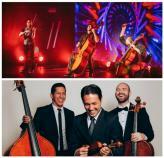 Hot Idea: Pair the area’s mouthwatering culinary and wine offerings with musical rapture. On July 19, a Notable Encounter Dinner will take place at Tolosa Winery featuring Oliver Messiaen’s Quartet for the End of Time. 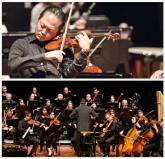 Join festival artists at the sun-drenched winery for a farm-to-table dinner and a talk led by music director Scott Yoo. Click here for more info on this and the festival’s many other events.